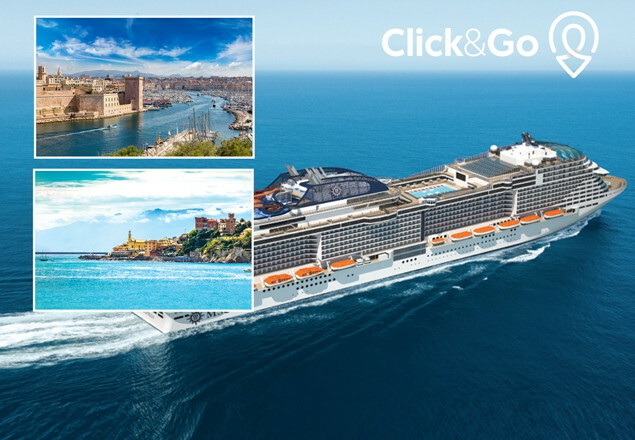 For this week’s great travel offer, we have teamed up with Click&Go to offer you a Mini Taster Cruise on board MSC Meraviglia. Visit 3 countries in 3 days – Spain, France and Italy. This cruise is ideal for anyone wanting to give cruising a go for the first time. Transfer from Genoa port to Nice airport. This offer is for ONE date only – 10 April 2019. Fly out to Barcelona on Wednesday, 10 April 2019 and fly back to Dublin on Saturday, 13 April 2019. MSC Meraviglia is one of the newest MSC ships and is less than 2 years old. She is a sophisticated combination of state-of-the-art-technology, a love of the sea, design, comfort and practicality. MSC Cruises exclusive partnership with Cirque du Soleil with shows twice every night, six nights a week, guests on MSC Meraviglia have the unique opportunity to see two original shows by Cirque du Soleil, the world leader in live artistic entertainment, and savour a superb culinary experience in the same glamorous venue. The Carousel Lounge is a technology-packed, entertainment and dining venue designed especially to meet the needs of Cirque du Soleil. This custom-built lounge covers 1,000 sq.m. and can accommodate up to 450 guests, including 120 enjoying the full show-and-dining experience. Click&Go are MSC's No.1 Seller in Ireland 2015, 2016 & 2017.